Dress Code Chic: Punk, Grunge, Chic! I had a haircut (well actually two) in the summer and also changed my colour twice. I had it a chestnutty blonde until a month ago and decided to for a darker hue. The haircut is an asymmetric bob, I had it before but this time went for shorter. I have been obsessing over statement jewellery this summer, especially necklaces! Bought a bunch of them, this one is my newest purchase, quite a looker, isn't it? Although it is an interpretation on punk and edgy, it's an outfit that has feminine touches and can be considered chic. Looking forward to your feedback! 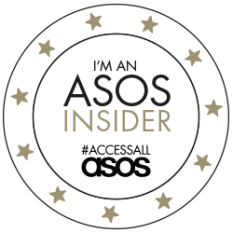 Hope you enjoyed my post, can't wait to check out your blogs! Have a great week lovelies! Really nice dress and I' m absolutely in love with your necklace! Amazing combo and lovely necklace!!!!! Oh yeah these trends are great and you incorporated them wonderfully. Love your dress! Would you like to follow each other? let me know! lovely look of you, new follower here darling. That jacket is so amaze! You look so pretty!!! I love your hair!!! Kisses from Italy my fashion friend!!! What a chic, edgy outfit! This dress looks so pretty on you!! I also like your hair-style, it's just great!) Those photographs are adorable! Love the leather jacket trend! 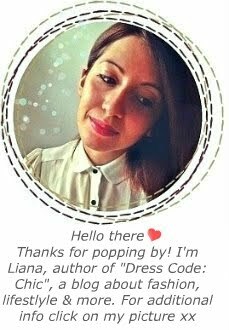 Liana, your blog is adorable and you seem like a Iovely person! I followed ;) If you're interested you can check me out as well, I can't wait to read more from you! nice outfit! I really like your jacket! Love the studded leather jacket, so cool. Beautiful outfit. Would you like to follow each other on GFC? Just let me know so I can follow back. Thank you. Wow, I really like this outfit from head to toe! My favorite piece must be that awesome jacket- I like how edgy it is! And I always love seeing a statement necklace ( my favorites), yours look great, mostly because of the nice color combination! First time to visit your blog! Your jacket is really cute! I love the studs /rivets on that biker jacket! One thing that sells this for me is your hair, it is perfect in every detail! Tnx for visiting doll, kisses!!!! Youre too cute! This dress on you is amazing! Your dress is so nice and you look so cute in these photos! Love the styling of this dress. yes! this outfit is great!! This outfit is the ABSOLUTE perfect mix of edgy and cute!! !